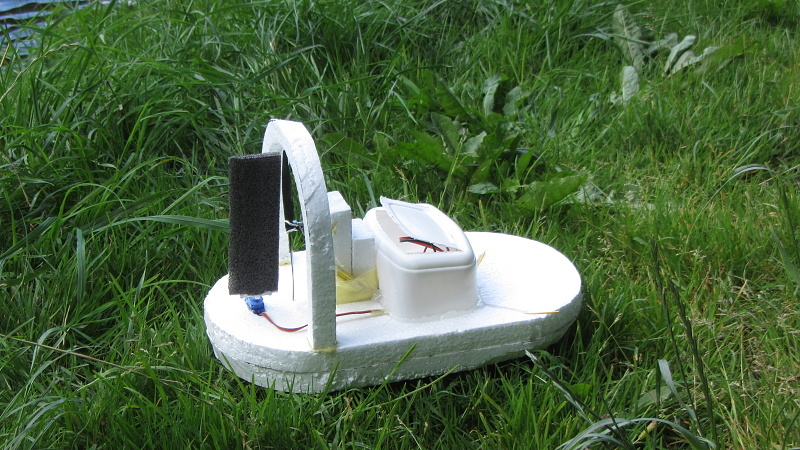 Propeller boat was created from the leftovers of polystyrene boards and the remains of the equipment of the RC aircraft. It was proven as a trainer, which can improve the coordination of the movements when controlling a flying model. Indeed, the flying boat, it “slips” on the surface, but in doing so, except for the motion in the vertical axis, it preserves a number of properties of the aircraft. Let's start with the preparation of all the polystyrene parts. We cut them of according the templates. 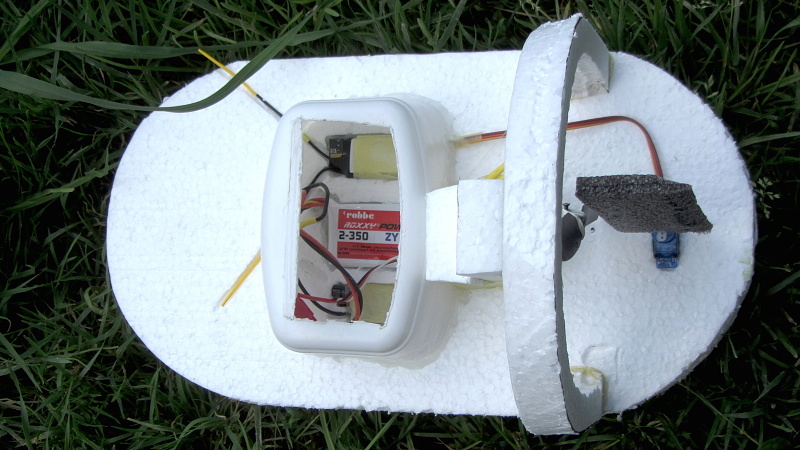 The rudder is made from solid foam lining used for the packaging of electronics. As the cover of electronics served punnet from the lard with partially cut off bottom. 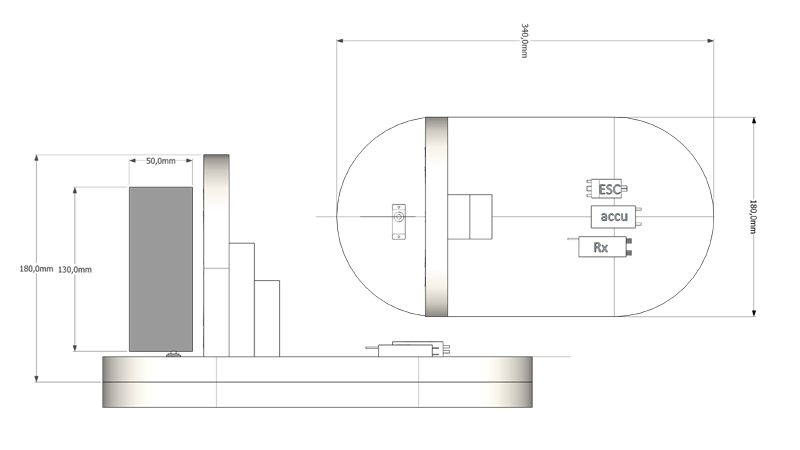 The hull is two layers thick. To make the rudder will be stronger cardboard sufficient. More detailed instructions on how to work with foam materials are in the instructions on the Crazy chicken. Polystyrene parts were glued with Purex Rapid, the plastic cover was glued with a layer of hotmelt adhesive (waterproofing). 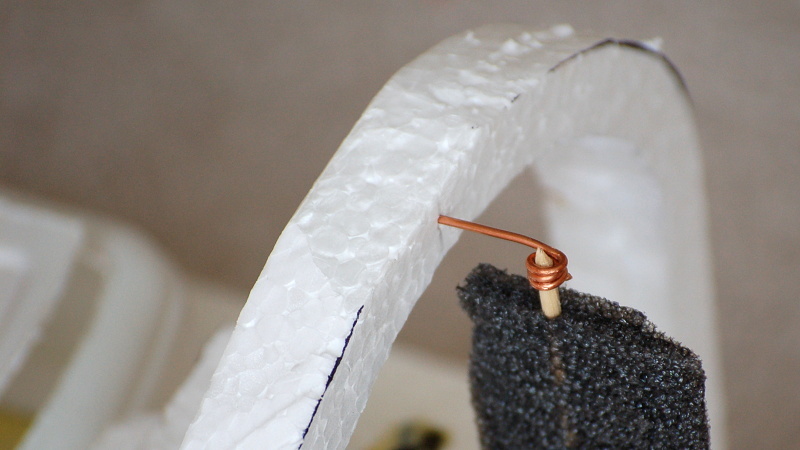 The rudder is affixed with hotmelt glue directly to the servo lever. If the rudder is too loose, it helps secure rudder to the frame the arc, for example, with a piece of copper wire and skewer, which at the same time stiffens the rudder in the axis of rotation. 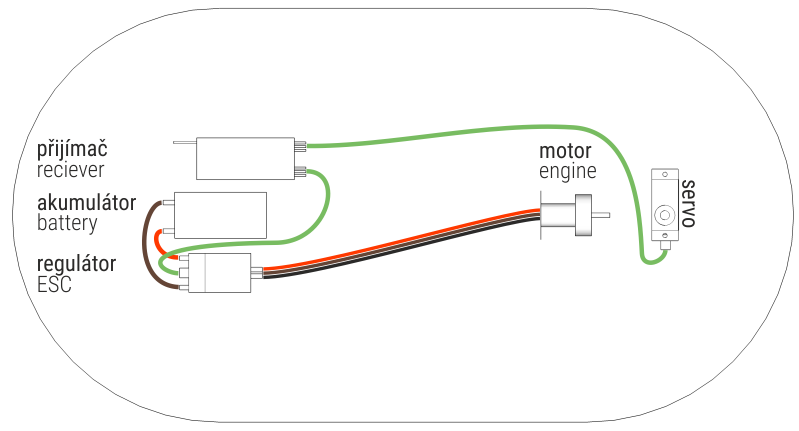 Installing electronics: ESC, receiver, servo, motor, pusher propeller. 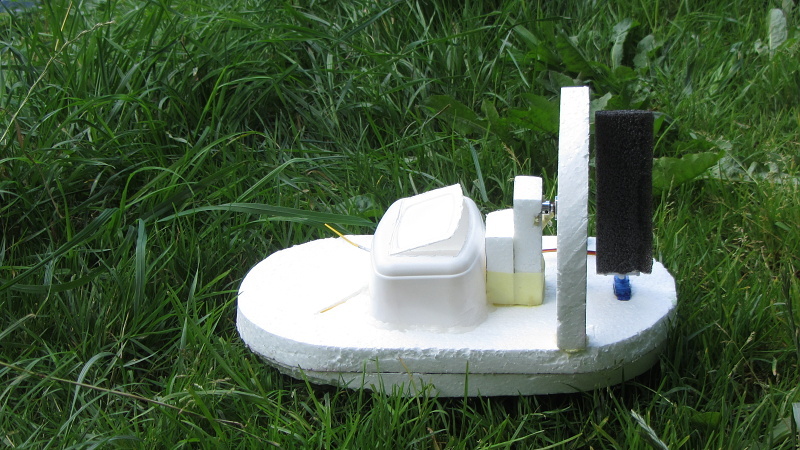 Insert the battery pack, we will test the functionality of the model and we can try it on the water.